Children from Ashton in Makerfield near Wigan took part in an Easter arts workshop with Stephen Charnock to design and create a pebble mosaic for a woodland setting near their homes. 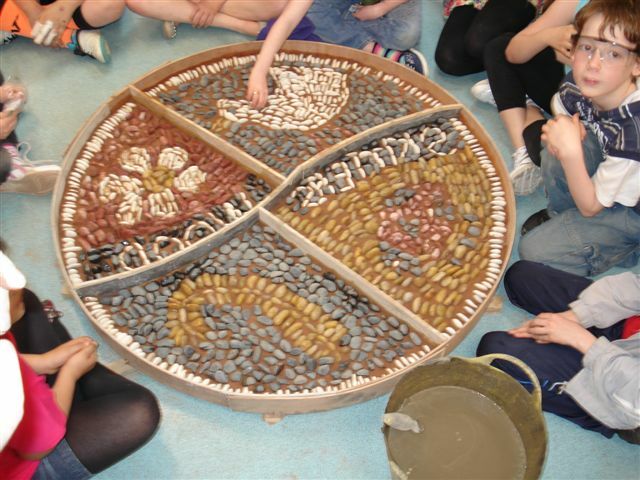 The mosaic is located at the entrance to Skitters Wood, a much cherished piece of ancient woodland nestled between the town and the M6 motorway. 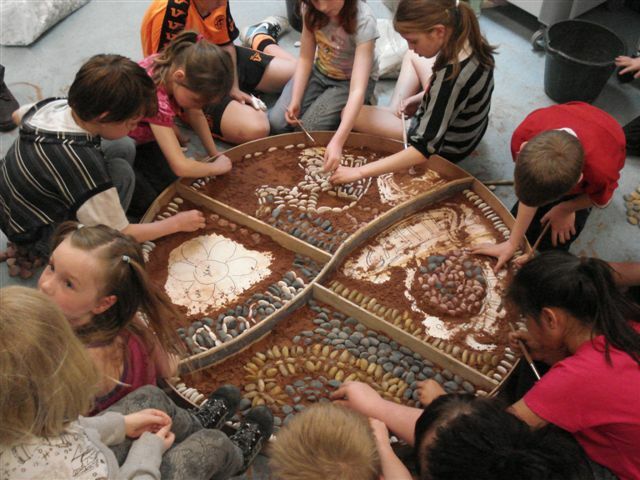 Stephen worked with Karin Dagnall, a Freind of Ashton volunteer, to organise the project and was keen to see the children get hands on experience throughout the making process.